And, I’ve used this great sketch from the sketch challenge on Splitcoast today too! 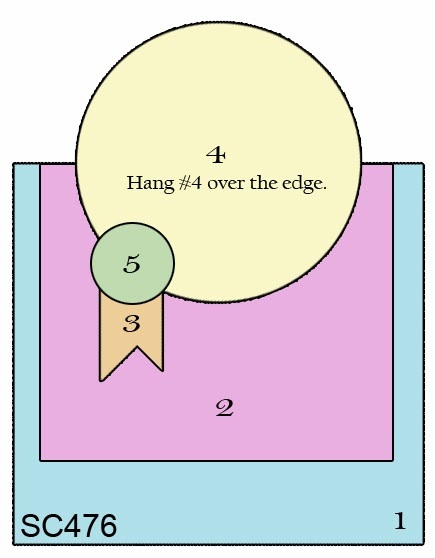 My card base is 4.25″ x 4″ to accommodate the overhanging circle. It’s been topped with some designer paper matted on black. The floral image has been stamped on some coordinating designer paper. Then, the center was die cut and popped up on a dimensional. 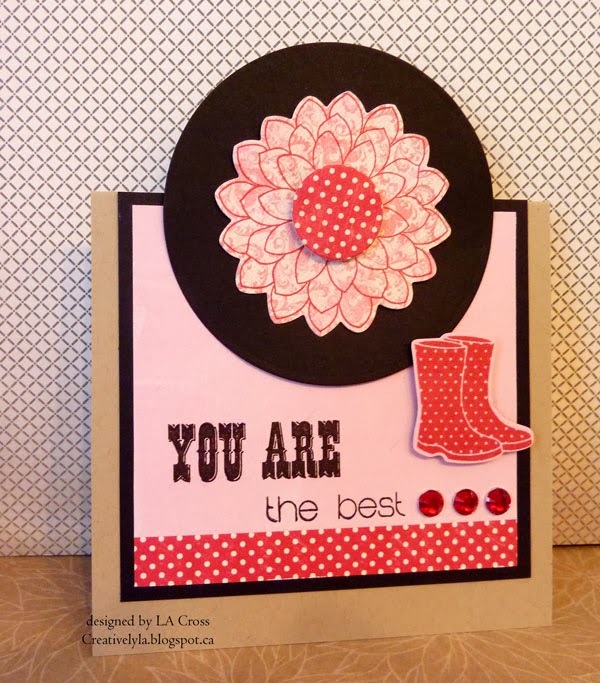 I just had to get those darling little boots from the inspiration picture onto the card, so I stamped them in red to match and used them in place of the little circle and banner. A few red rhinestones and done! 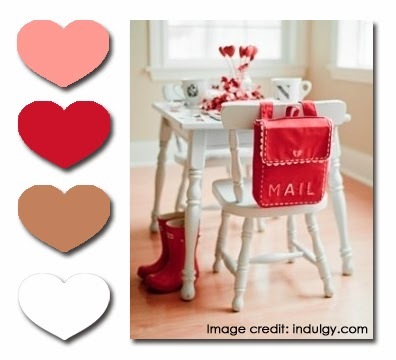 Your use of given samples is wonderful and here no less! The polka dots and use of red/black are so stunning! A really pretty card!